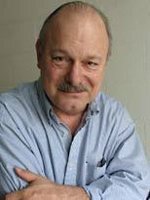 Matthew Peterson: My next guest is Joe Haldeman, best known for his hard science fiction novels. He has served twice as president of the Science Fiction Writers of America and teaches creative writing courses on occasion at MIT. His books and stories have won 5 Hugo Awards, 5 Nebula Awards, a World Fantasy award, the John W. Campbell Memorial Award, and a Locus Award, plus a bunch of Hugo and Nebula nominations. Welcome to the show, Joe. Joe Haldeman: Well, glad to be here Matthew. Matthew Peterson: I need to preface this interview. I actually met you first in 2006 at the Nebula Awards banquet where you got your Nebula award for your novel, Camouflage. Interesting story, I don’t know if you remember this, but I was there. I didn’t really know who you were, but we were chatting and this man walks up and he has this old book in his hands, and he says, “Will you sign this book?” I think it might have been one of your oldest novels, The Forever War. Joe Haldeman: There was a copy at a science fiction convention that was for sale for $700. Joe Haldeman: And the dealer asked me to sign it and then he changed the price to $1,000 and sold it just in a few minutes. Joe Haldeman: So I told him, really, I should have gotten $30: a ten percent cut of how much value I added. Matthew Peterson: I wanted to start out asking you a question. Now I understand that back in 1967 you were drafted into the U.S. Army and you served in Vietnam. Matthew Peterson: How did those experiences affect your writing? Joe Haldeman: Well, I would be a totally different writer--even if I was a writer--if that hadn’t happened because I was not planning to be a writer. I was going to be a scientist as astronaut. Joe Haldeman: That was the title back then. And if I had not been drafted, I would have gone on to my PhD and tried to enter that program. But in fact, as has happened with many young men, experience of going through a war gave me something to write my first novel about. And I did write that. That was called Warrior; it’s not science fiction. And then of course it gave me the background for The Forever War. Matthew Peterson: The Forever War. Yeah, I think The Forever War, that series, that’s probably your most popular [set of] books. Matthew Peterson: For those listeners that haven’t read those ones. Can you tell us just a little about The Forever War. Joe Haldeman: The Forever War is about a war in the future with some mysterious aliens called the Taurens. And the main character, William Mandela, is drafted into a very small elite group of soldiers. And they go out to other stars to do battle with this mysterious enemy. In the course of the war, because they have to travel as fast as the speed of light or almost as fast as the speed of light, they undergo time dilation, and so while weeks pass while they’re fighting, months and even years pass back on Earth. So when they come back, they come back to a world that’s quite different from the one that they were supposedly defending. Joe Haldeman: People nowadays, especially younger people, may not be aware of it, but that’s a very direct metaphor about how we felt when we went off to Vietnam. Joe Haldeman: Because a year later, you come back and the world is, the United States, is quite different. Matthew Peterson: Yeah. I can imagine a hundred years go by and you don’t even have the same government anymore that you were fighting for. Joe Haldeman: That’s right. And all the language starts to diverge. People who deal with the old soldiers have to learn old English because English has become difficult to understand. Matthew Peterson: Yeah. Now I understand in October 2008 Ridley Scott announced that he was going to direct a film based on The Forever War for Fox? Joe Haldeman: Yeah. Yeah, that’s right. Matthew Peterson: Now Ridley Scott, he did Blade Runner and Alien, which I love both of those movies, so I can only imagine what he’ll do with The Forever War. Joe Haldeman: Oh yeah, we have high hopes for it, of course. Matthew Peterson: Are you going to have any input, like on the script? Joe Haldeman: Well, I didn’t ask for any. I know it’s traditional not to have the book author involved. Matthew Peterson: Yeah. They might ask you to do a cameo or something. [laughs] That would be fun. Joe Haldeman: [laughs] I’d be one of the soldiers in a crowd scene. Who’s that old white haired guy doing there? Matthew Peterson: [laughs] Yeah, who gets killed really fast. Joe Haldeman: Yeah. [laughs] Well, he was too old to hack it. Matthew Peterson: Yep. This war really was forever for him. Matthew Peterson: Your newest novel, Starbound, is the sequel to Marsbound. Tell us a little bit about Marsbound so that people who are going to be reading Starbound will be able to know what they’re getting into. Joe Haldeman: Well, Marsbound starts out with a sort of domestic premise. They’ve got a growing settlement on Mars and they’ve decided rather than just have individual scientists and engineers come over, they would import people--a family at a time--and see whether they could get something like a normal life situation going. And so my heroine, Carmen Duloff, is part of a family that goes up, and she realizes even before she gets to Mars that she’s signed away five years of her youth. There’s probably going to be nobody on Mars but a bunch of dorks or scientists. Joe Haldeman: And she won’t find a man and she’ll be an old lady by the time she gets back at like 25, by the time she gets back. Joe Haldeman: But as it happens, things turn out to be not domestic at all, but involve meeting an alien species that’s also visiting Mars, and things get pretty wild and hairy after a while. Joe Haldeman: Yeah, that’s right. They have instant kind of technology from their contact with the Martians, but they’re threatened by a group of people, who the Martians call the Others. So they don’t know anything about them really, except they’re extremely dangerous. And they attempted to destroy the earth and missed just by seconds. And so the humans figure the only thing they can do is try to go out there and talk to them. They don’t dare invade them or try to defend the Earth because the science that these others have is too extremely advanced. So they go out as sort of a peacekeeping mission and fully expecting to die. But the story is fairly interesting because it takes them 8 years objective time to get there, and so you have these seven people and two Martians in a space about the size of a couple of two-bedroom apartments and a little farm. And they try to get along, but it’s sort of like Jane Austen in a pressure cooker. Joe Haldeman: A couple of the characters not being human. And so I had fun writing that, but I had it planned not just as a sequel but as the middle book of a trilogy. Joe Haldeman: And the third book, which I’m working on now is called Earthbound. Joe Haldeman: And they come back from the Interstellar adventure and . . .
Matthew Peterson: It comes full circle. Joe Haldeman: They have a new kind of adventure waiting on earth. Matthew Peterson: Yeah. That sounds interesting. You write a lot of military science fiction, but back in 2007 you wrote The Accidental Time Machine. That’s a little different, you know. I was a little interested in that one. Joe Haldeman: Well, that was sort of a fun book. It’s only the second comic novel that I’ve written. And it doesn’t have anything to do with the military. Joe Haldeman: It’s a kind of incompetent MIT graduate student who accidentally discovers a useless time machine. All it does it go forward in time. And then you catch up with it. Joe Haldeman: And so, you know, what practical use can this be? But of course, it’s of tremendous scientific interest, even if it’s not useful. Still it does say something about the nature of time. And so our guy, who doesn’t even have his PhD yet, is hoping to become a famous scientist and get the Nobel prize and everything. Does not work out that way. Matthew Peterson: Yeah. So that’s interesting, so you have a little bit of comedy there. But a lot of your novels do have that military science fiction feel to it. Joe Haldeman: Yeah. About a quarter of my books have been military. Matthew Peterson: It’s about time for a commercial break, but I’d like to thank you for being on the show today, Joe. Matthew Peterson: I was just talking with Joe Haldeman, multiple Hugo and Nebula award-winning author of science fiction. Well, that’s it for today. Make sure you visit www.TheAuthorHour.com to listen to the bonus questions that didn’t make it onto the live show. Next week I’ve got an episode devoted to high fantasy with L. E. Modesitt Jr., Carol Berg, Dennis L. McKiernan, and Diana Pharaoh Francis. See you next week.